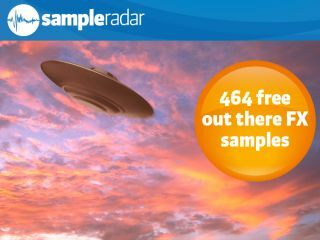 We're a great saucer of samples. Sometimes, you're looking for a beat, chord or riff that you can use as the basis for a track, but on other occasions, what you need is a bit of other-worldly weirdness to add atmosphere. It's those 'other' moments that we're catering for here, with sounds that might not make a lot of sense on their own, but in the right context, can take an existing production to another dimension. The out there FX samples are split into five folders, each of which is labelled based on the type of sounds contained within it. The out there FX samples are supplied in a zip file, so you'll need to extract them before you can see them. Enjoy!